According to actual Africans, who are using Twitter to challenge stereotypes about the continent. When people find out I grew up in Africa, they tend to have a lot of questions. They want to know why I don't have "an accent" and whether I grew up in a hut and what it was like having a giraffe for a pet. Annoying as those kinds of inanities are, they're mostly surface-level reflections of a deeper problem: because of the way the continent is routinely represented in mainstream global media, what people are actually asking is why I don't fit into their stereotypical assumptions about what Africa is—where do disease, poverty, and wild animals fit into the narrative of my life? 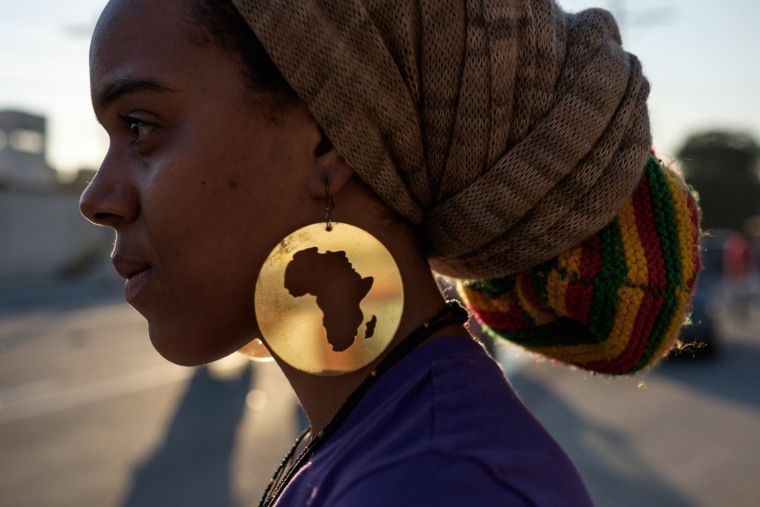 A group of Africans and members of the African diaspora are addressing that precise issue, with a hashtag that's been trending on Twitter for the past week—they're captioning images from across the continent with the simple tag #TheAfricaTheMediaNeverShowsYou. It appears to have kicked off on June 23rd, with Twitter user Diana Salah, who tweets under the handle @lunarnomad and who asked her followers to join her in "showcasing the beauty of Africa." “I got involved because growing up I was made to feel ashamed of my homeland, with negative images that paint Africa as a desolate continent,” the 22-year-old told Fusion, adding that she started the hashtag with a friend who has since de-activiated her account. During the tag's peak late last week, it received thousands of tweets over a three-day period, chronicling everything from natural landscapes to politics to contemporary African fashion. For example, one tweeted pointed out that three women, Ellen Johnson-Sirleaf, Catherine Samba-Panza, and Ameenah Gurib-Fakim, are the current heads of state of Liberia, the Central African Republic, and Mauritius, respectively. Another tweet shouted out institutions of higher education like the University of Ghana and the University of Johannesburg. Of course, highlighting some aspects of Africa that the global media actively ignores doesn't mean denying the very real issues we must collective deal with; it simply means the continent, and the billion people who inhabit its 56 countries, have the same right to plurality that the rest of the world does.